Warner Sallman painted over 500 works of art. His art can be found and enjoyed in schools, offices, churches, and homes. The artwork is laden with profound spiritual and devotional value and impact. 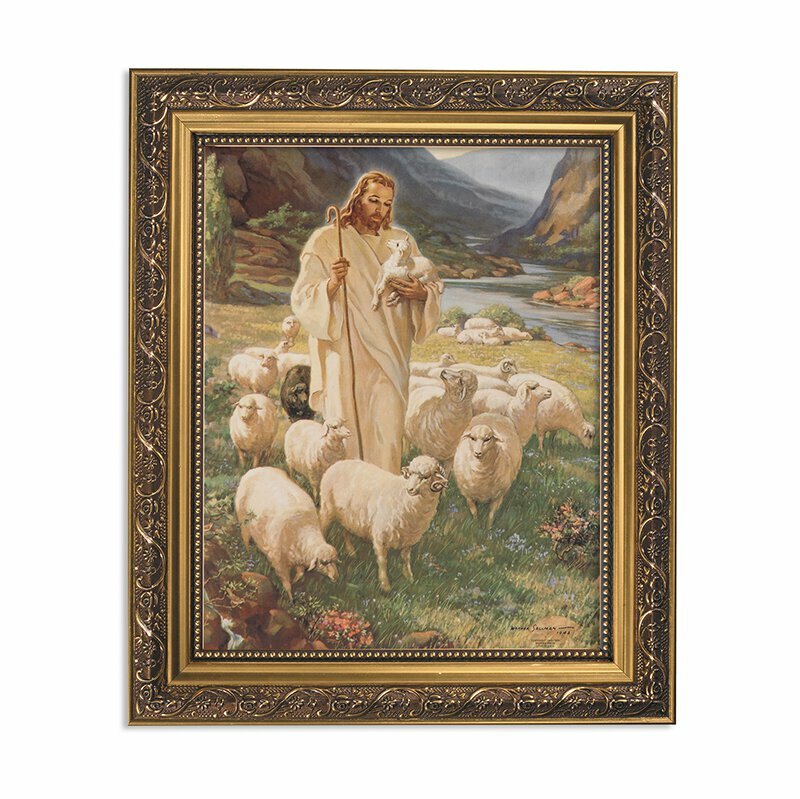 A favorite image to place in the bedroom and Sunday School classroom, The Lord is My Shepherd visualizes the pastoral image of Psalm 23 but does so without the dark side of the ancient verse. Geffert® offers this 8" x 10" print framed in an Ornate Gold Finish 11" x 13" frame under glass with easel back stand as well as metal hangers for wall mounting. Each framed print comes boxed for easy gifting.